. Application of Supercritical Fluid (SCF) for Dyeing.
. Development of pet/ nanoclay nanocomposite for barrier packaging.
. Dyeing of Polypropylene using Nanotechnology.
. Development of reflective Agrotextiles for Sun management.
. Standardisation of Norms for Agricultural Shade Net.
. DRDL - Defence Research and Development Laboratory. Increasing consideration of ecologic consequences of industrial processes as well as legislation enforcing the avoidance of environmental problems have caused a reorientation of thinking and promoted research for replacement of conventional technologies. During the last three decades, supercritical fluids, which are characterized by exceptional physical-chemical properties, have been used in extraction processes. The present project envisages application of supercritical fluids as reaction medium and as a solvent medium in textile chemical processing for dyeing. Carbon dioxide is the most investigated and would be used as supercritical fluid as a dyeing media. It is a naturally occurring fluid that is chemically inert, physiologically compatible, and relatively inexpensive and is readily available for industrial consumption.
. Development of pet / nanoclay nanocomposite for barrier packaging. Packaging of any product is always an integral part of product and serves various purposes. Keeping the contents clean, fresh, and safe for the intended shelf life is a primary function of any packaging. Packaging of food products, medicines and agrochemicals that have poor shelf life are required to be insulated from external environment. The incorporation of nanoclay in polymeric matrix is known to improve the barrier resistance, thermal resistance and puncture resistance of polymeric matrix. Hence it is envisaged to experiment with the development of PET/ Nanoclay nanocomposite for packaging and explore the suitability of their application. The proposed project aims to produce dyeable polypropylene that can be made using nanoclay infusion technique. The dye sites created in polypropylene were the prospective areas where nanoclay is located. Therefore, the optimized nanoclay particle size, particle size distribution, and the uniform dispersion of nanoclay inside the polypropylene matrix are very critical for the dyeing properties of the dyeable polypropylene nanocomposite.
. Evaluating compatibility & establishing methodology for simultaneous functional finishes for textile. Various anti-microbial, anti-fungal and anti-viral treatments have been formulated for different natural and regenerated fibres. However, each has their limitation in the form of their compatibility with each other and their durability throughout the life of the garment. The project envisages to develop a combination of such finishes of permanent nature in situ in the rayon fibre. Thus developed fibre would find applications in healthcare textiles, home furnishing, shoe lining fabrics and innerwear. Many crops are also extremely light sensitive Sunlight management is the process of manipulating the sunlight quality and quantity to which plants are exposed. A new generation of agrotextiles can be developed to address this problem. They would allow the grower to choose both the duration of light as well as the particular wavelength that will produce the desired effect from the plants at all stages of development. The proposed project aims to develop wide range of agrotextile screens which will reflect light and thus ripen all plants uniformly protecting them from extreme climatic conditions. It is proposed to develop woven reflective agro ground covers with suitable reflective coatings leading to desired results.
. Design of processing sequence suitable for embroidered fabrics incorporating embellishments. The project envisages studying the different type of embellishments used during embroidery and the problems being encountered during their processing. It is proposed to find out remedial actions to counteract these problems and suggest a standardized processing sequence for these embroidered fabrics. 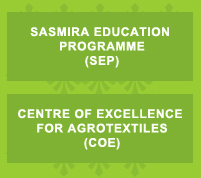 The project envisages studying the different agrotextile shade nets being manufactured and used in the country for benefits in agriculture yield improvement. Although the products are gaining popularity in the country at the manufacturers' end and users' end, there is no clear guideline available defining the norms for the manufacture and construction of the product. So also, the methodology to test the functional properties of these products has not been established. The proposal is aimed towards establishing these norms for agricultural shade nets.
. Development of Super Absorbent Polymer Fibre Mats for Water Management in Horticulture Applications. The water retention capability of the fibre mats can be further enhanced with use Super Absorbent Polymers (SAP). The present proposal aims at improving water management characteristics of nonwoven fibre mats with use of SAP so as to support horticulture cultivation. Identification of various fibre substrates and their structure suitable for fibre mats has been done. Procurement and study of super absorbent polymers suitable for the horticulture is under progress. Establishing a correlation on UV stability of Technical Textiles under different exposure conditions. Keeping the material for testing as constant, a correlation would be arrived at for degrading the sample to same level of strength loss under different conditions of exposure using different exposure media viz., xenon, UV-A or UV-B. Identification of technical textile samples for evaluation of weathering and Study of the microelements of the fabrics with respect to its characteristic UV stability and other chemical degradation is ongoing. The present project envisages for improving electrical conductivity of polyester matrix by incorporating CNTs for application in smart textiles. Identification of various grades of polyester that can be suitably mixed with CNT's studied. Suitable Method of mixing CNT's inside the PET matrix is being carried out. Suitable Equipment (Ultrasonicator) for solution mixing process has been identified.
. Commissioning and Installation of 2No's already developed Ultrasonic low energy dyeing technique. 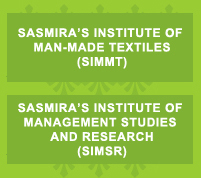 SASMIRA developed ultrasonic dyeing system has been installed in one process houses for commercial viability study. 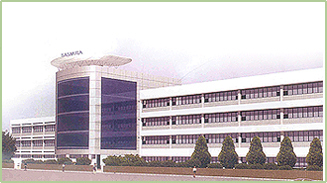 SASMIRA developed Membrane filtration system has been installed in two process houses for commercial viability study. To install the developed Table-Top Light Fastness Tester in the test houses for commercialisation study.